Life is a mosh pit. It happened again. It happens all the time. So often, I got used to it years ago. My friends and professional buddies are always amazed that this kind of thing goes on at my job sights. Some people call it unprofessional and risky. They say they would never take the risk and steer clear from these moments all together. These things strike fear and anxiety in a lot of peoples hearts. My customer asked me who I’m voting for this year. That’s not a question that comes and goes quickly. Especially in this year’s America. Sitting on a flight of stairs, painting a handrail I had put up the day before, my customer was at the table feeding one of her kids. The conversation broke out on her accord. I almost always wear head phones and listen to the news while I work. All the news. The liberal news, the conservative news, news from every direction I can find. This customer was sort of asking questions and just chatting. To be polite I put the news away and answered. I don’t know how she swung the chat around to the Presidential campaign, but she did. We talked about the issues, candidates and the state of our nation. Like my private friends, half my customers are surprised to find out how liberal I am, while the other half is surprised to figure out I’m quite conservative. It’s why I love the system so much, I can see both sides, all sides really, because there are a bunch. I’m not interested in being labeled. So don’t do it. I am interested in being considered. I’m interested in many things being taken into consideration, which is why I don’t pick sides. Issues propelling America into the future are more than us versus them. I’d rather mosh in a pit and get action from every direction, than to line dance and stay in step. It keeps things exciting. After several minutes of talking I had rounded the corner and headed up the stair hall, my customer moved her chair to keep talking. Again, these things happen pretty often. By the time we both shared our ideas and told our truths, it became clear, she was definitely way more conservative than me, but we both agreed our nation needs help. We agreed it’s our job as voters, no matter how different our friends, habits and lives may be, to speak up and lead our nation in our homes, neighborhoods and communities. Some of you reading this would never imagine a conversation like this with your handyman. That may be because your handyman doesn’t have the capacity to have a civil discord. It may be because you don’t. I can assure you, if I reacted in these conversations to things I hear the way I see other Americans react, this woman would have turned around and fed her kid again. But that’s not my style. My joy is finding the place where two opposites blend into a united cause. A place where a conservative and liberal can agree to bring our intellectual tools to the “let’s be in charge of our nation” job. As if this kind of thing isn’t amazing enough, the next question came, “where do you go to church?”. Some of you think I’m making this up now. I’m not. It happens all the time. At this point a lot of people in this situation would unite and relax. But I don’t go to church. So this created a friction for my customer. When someone who is involved in their church finds out you don’t go to church, curiosity gets the best of them. They keep asking the questions. I answer. I went to church for years, decades really. I just don’t find myself in that place in the last several years. The conversation continued. We talked about our faith, where god is and how we love others. Funny enough, as a secular kind of guy, I usually come out with the broadest brush in this area. As the woman continued to chat it up, I had to tell the truth. I live quite fully without fear. While I fear acts of terror, I care for the terrorist, and know where they have come from. While I do not fully understand the complexities of human sexuality, I support and care for the right to happiness for the LGBT community. While I fear the gun on the woman’s hip at our local restaurant, I feel compassion for a woman who is so scared she can’t leave the house without it. This is the dance I love. The mosh pit. Throwing myself into an arena of human experience knowing full well I could be hurt, but unwilling to pass up the opportunity to feel the energy, the truth and the life. If you ask a guy where he goes to church, be ready to hear almost anything. 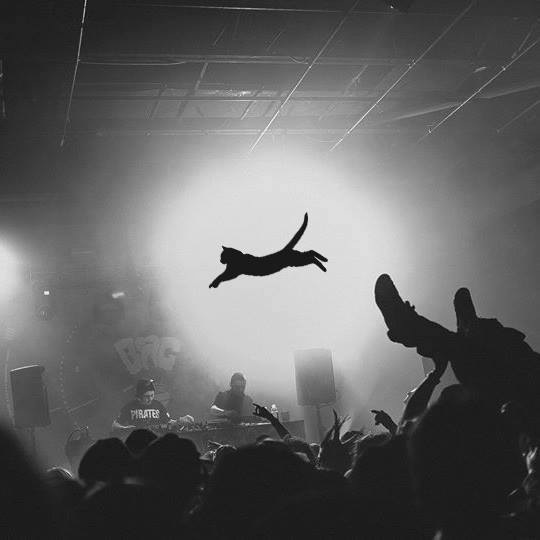 The mosh pit has very few rules. After I finished the repairs on my customer’s house, I typed up a ticket and collected my check. The customer booked more time. Even after she learned I probably won’t be voting the same as her. Even after having to consider employing a guy who would rather sit at home and write on Sunday morning than go to church, she hired me for more work. This is true love. This is when courage wins over fear and anger. This is grass roots commitment to move our nation forward when the rest of the nation is calling names and throwing people out of each other’s rallies. This is when people shake hands and agree to do a great job on the house again on the next visit. I share this with you to remind you how valuable your are when you hire someone to work in your home. Your opinions, your beliefs and your interest in who we are. To remind you that when I sit and have lunch with my hardscaper, plumbers, electricians, roofers, painters and other home service pros, we are talking about you. We talk about the experiences we have in customer’s homes. Your home. We talk about the things you say to us and how you treat us. We talk about the stupid, clumsy things we do and how we hope you’ll hire us back. We talk about what we learn about you and what you learn about us. And when the talking is all said and done, the food is gobbled up and the bill is paid, we can’t wait to come back for more. To come to your house and take the dares. As Kidd Rock says, to “get in the pit and love someone!”. See you in the pits. Eloquent and admirable. Keep writing. Often. Thank you. It feels good to write. Like a good jog. Thanks.